We are a well known local company GS Robinson (Builders) Ltd was established in Deeping St. James over 65 years ago as a family building and contracting business and has progressed and expanded over the years into a professional construction company, a property development section and rental division, now Robinson Property Rentals and Maintenance, serving the Deepings and the surrounding area. All tenants deposits that are lodged with our company are guaranteed and are legally secured ensuring that when the tenancy comes to an end the Tenants Deposit is returned to the Tenant within the agreed terms of the tenancy agreement. We will guarantee that our landlords receive their payments on time according to the agreed terms of the Landlord agreement. Our reliable and skilled staff are directly employed by us and offer all of the skills needed to maintain all aspects of our rental portfolio. When and if needed, we also employ selected contractors who are personally vetted by Terry Robinson, our Managing Director, to ensure our high standards are adhered to. As part of our professional management service we check that all maintenance and repairs have been carried out to our required high standard, which ensures that both the tenant and landlord are satisfied with the work and avoids any on going problems where possible. We are always available to offer free, reliable advice and are contactable at all times for help when needed. 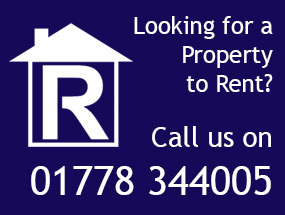 For landlords who want to expand their rental portfolio or are new to the rental business and are thinking of investing in property for renting, we also design, construct and may have investment properties for sale. Please go to our investment properties page for more information or arrange a meeting with Mr. Robinson to discuss this further. Copyright © Robinson Property Rentals 2013 - 2019. All Rights Reserved.